Vermont takes its name from the lush, green mountains that run north to south along most of the state’s length. These mountains are part of the Appalachian Mountain chain and are home to stunning scenery, miles of trails and recreational facilities. In the winter months, the mountains provide excellent snow sports such as skiing, snowboarding and mountain sleigh rides. The Champlain Valley stretches from the shores of Lake Champlain to the base of the Green Mountains and features several tributaries of the lake that offer top-notch fishing and canoeing. St. Anne’s Shrine– Located on the shores of Lake Champlain, this historic church features beautiful grounds with secluded gardens and grottos and picnic areas. Old Round Church– This singular structure in Richmond, Vermont has an impressive history and is open for events during the summer and fall. Trapp Family Lodge– High in the mountains of Stowe, Vermont, this Austrian-style ski resort is run by the von Trapp family of “The Sound of Music” fame. Green Mountain and Finger Lakes National Forest-This exquisite nature area is home to a long list of trials, views and recreation area such as Thundering Falls, White Rocks Cliffs Trail and Stratton Mountain Trail. Vermont may be a small and narrow state, but it has a wide variety of outdoor recreational options. 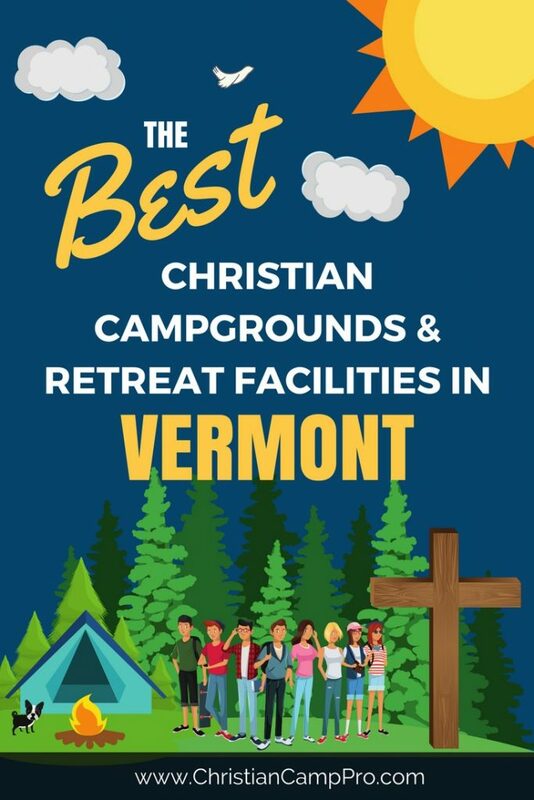 With year-round adventures in every part of the state, Vermont is a great place for youth camps and adult retreats. From the stunning Green Mountains to the fertile Champlain Valley, Vermont has a fun-filled experience to suit every taste.